Earth Day is this Thursday and why not toast the occasion with organic drinks from Paul Abercrombie‘s new book Organic, Shaken and Stirred. 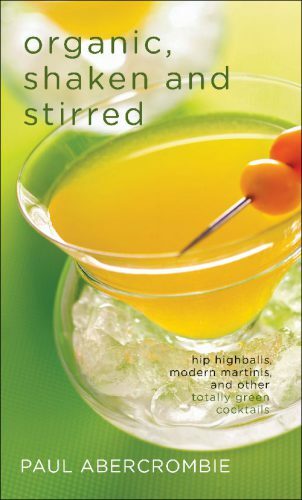 As the world’s only book about organic cocktails with recipes from bartenders and mixologists from around the world, the recipes call for entirely organic ingredients, including spirits, herbs, fruits, spices, and mixers. Big, brassy pomegranate and lively lemon find a counter beat in smooth maraschino cherry and cool cucumber, but it’s that crucial splash of bitter Campari that really makes this symphony of flavors come together in delicious harmony. In a tall glass, alternate the pieces of cucumber with layers of crushed ice. Pour the pomegranate juice, vodka, lemon juice, agave nectar, Campari, and maraschino liqueur into an ice cube–filled cocktail shaker. Shake vigorously for 30 seconds, then strain the mixture into the glass. Top off with club soda and garnish with the lemon twist. What a big difference the reddish-orange wisps of saffron make in this drink, suffusing an already delicious cocktail with an indescribable exotic flair. If you cannot find fresh mango, look for frozen mango puree in your supermarket freezer section. 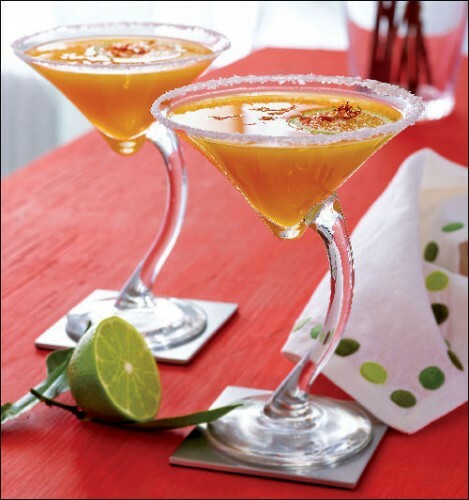 Combine the tequila, Cointreau, lime juice, mango puree, agave nectar, and saffron in an ice cube–filled cocktail shaker. Shake vigorously, then strain the mixture into a chilled martini glass with a salted rim; the threads of saffron will float in the drink. 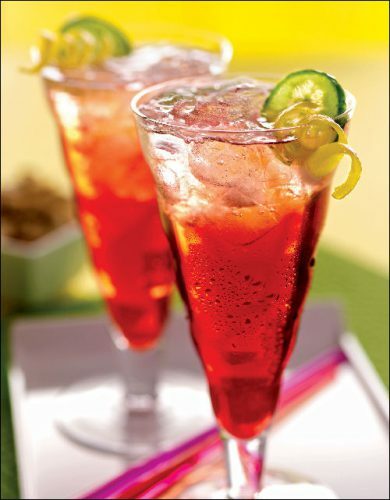 For extra color, garnish with a lime slice on the rim of the glass, if you like. Excerpted from Organic, Shaken and Stirred by Paul Abercrombie. (c) 2009, used by permission from The Harvard Common Press.